In all our video converters, you can now add a GIF file or a video as a watermark. The moving image will be embedded into the video. 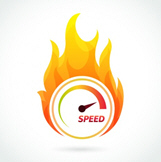 If you're using the latest version of ConvertXtoVideo, you will be amazed by the greatly improved conversion speed for all MP4/DivX and Xvid formats! Remove unwanted objects, cut people out of your photos, create photo montages: Photo Clip is a great digital scissors tool that works like magic! If you've decided to tackle a new language, let us give you a hand! 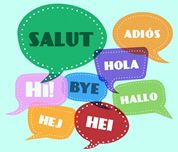 Find out how our programs can help you improve your language skills. 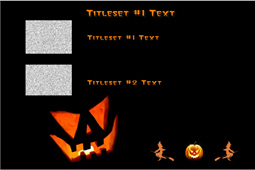 Right on time for Halloween, we've added a new Menu template for your DVDs and Blu-rays, complete with scary audio and spooky buttons! The right number of DVDs stacked was 64! Congratulations to the 5 handpicked lucky winners!